Construction is one of the most dangerous fields of work. In fact, more workers are injured on the job at construction sites than in any other occupation. When one considers the nature of the job it should not be surprising that so many workers are hurt. Falls from roofs or ladders, falling debris, and machinery mishaps are but a few of the many dangers that lurk on the construction site. If you have been injured, it is in your best interests to work with Orange County construction accident lawyers who understand the nature of the business and understand how to help workers gain either workers’ compensation or other assistance. If you work in construction, you have a keen awareness of the dangers around you. According to OSHA (Occupational Safety and Health Administration), over six million workers are employed at 252,000 construction sites in the U.S. on an average day. Fatalities are higher than for any other industry, and the hazards are rampant. Your first responsibility is to yourself after an accident. If an accident occurs in which numerous workers may be hurt, check to see if you are hurt first. Otherwise, you can’t be of any use to others. You should then check to see if anyone else needs medical attention. Call 911 immediately if serious injuries are evident. Your Orange County construction accident lawyers will tell you that it is very important that you do not attempt to move anyone who has been hurt unless imminent danger exists, such as a fire. If injuries are serious, medical personnel will respond to you at the scene. Otherwise you should seek medical attention immediately. This is true even if you don’t think you are hurt. Many injuries do not manifest themselves right away after an accident but show up hours or even days later. If you are able to do so after the accident, take pictures of the scene of the incident and any important details. You can do this with the camera in your smart phone if you don’t have another camera handy. You should also get the names and addresses of any witnesses to the accident, as well as the names and contact information of any other individuals who were injured. Make sure you report the accident to your employer. If you can, do this before seeking medical attention so that they can direct you to the medical group with whom they contract. However, it is important in any event to report the accident as soon as possible after the fact. Whether or not you can seek a personal injury claim against an employer is a touchy matter. Generally, you are not allowed to sue your employer. However, if your employer uses a contracting company and your injuries resulted from negligence on their part, you may have grounds for a claim. Otherwise you will need to seek medical assistance through your employer’s workers’ compensation insurance. When you meet with your Orange County construction accident lawyers you will be asked details about the accident. It is important to ascertain the cause of the accident in order to know from whom to seek damages. For instance, if a welding torch did not operate properly you might have a defective product claim. If it is clear that you need to file a claim for damages, it is very important that you do not try to negotiate with insurance companies on your own. You may be a highly trained and respected expert in the field of construction, but this does not prepare you for the adversarial nature of working with an insurance adjuster whose job it is to make sure you receive as little compensation as possible. You need to keep in mind that insurance companies are not on your side, no matter what they may claim. They are in business to make a profit. The more they pay out in claims the less money goes to their shareholders. Thus, they may talk a good game about being your friend, but don’t believe it. 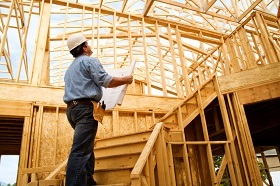 Orange County construction accident attorneys, on the other hand, have a stake in making sure your claim is successful. After all, they don’t receive a penny unless you obtain a settlement. Moreover, a seasoned attorney understands all the tricks insurance companies use to manipulate unwary clients into taking low settlements. If you are hurt, and it is due to the negligence of another, your attorney may be able to help you gain compensation for all your medical costs, physical therapy, lost pay while you are recuperating, pain, suffering and more. If you have been injured in a construction site accident, it is very important that you seek the highest quality legal representation. The Orange County construction accident lawyers at Russell & Lazarus, APC are more than happy to meet with you to discuss your case. Call us today to arrange a consultation at (949) 851-0222.